I know holiday has ended but fret not, we can always make it fun, whether we’re going back to school, college or work. Maybe by trying a new hairstyle, bringing something cute to eat at lunch, orrr… you can simply try something new and cute, like trying this Lip Ice Butter Ice Cream Matcha on your lips! WUUUUUUUTTTTT. SISTA, IT’S ACTUALLY GREEN!!!!!! 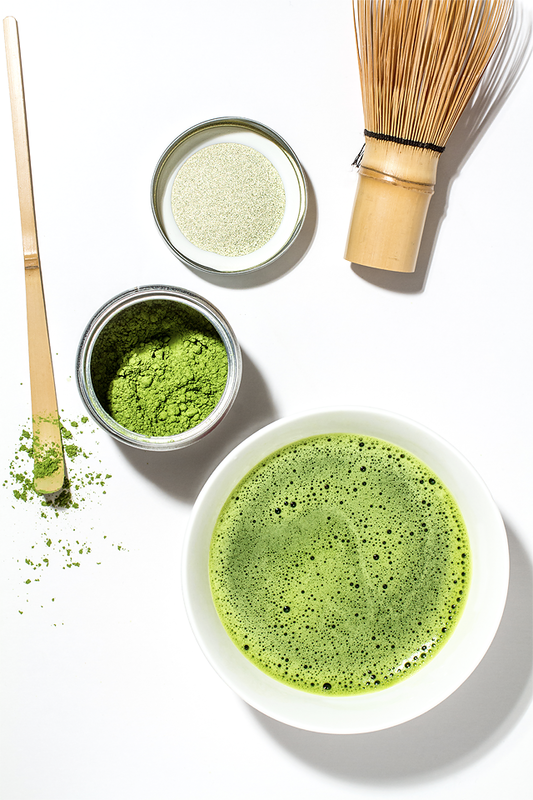 Yes, so does Matcha. ? Yummy, yummy Matcha ? ? So, what was my first impression of this product? As you can see, despite it’s green color, it actually -and surprisingly- gives your lips a natural tinted look! Not to mention, it is also enriched with natural moisturizing ingredients, like Shea Butter, Squalene, Olive Oil, Vitamin E and UV protector, which prevents dark lips due to sun exposure. So, do I love it? YES. I always love a multifunctional product that works, just like this one. 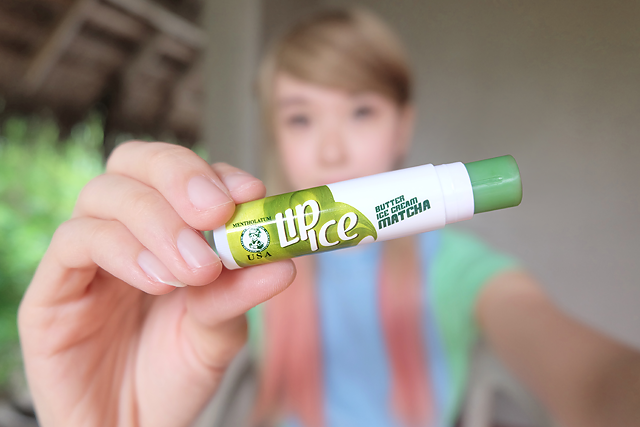 In Lip Ice Butter Ice Cream Matcha, I love the natural tinted look and the moisturizing effect the most. Not to mention it’s also super affordable, like, only IDR 30,000 (less than USD 3) per piece! ? ? It is now one of my must-bring things in my bag. 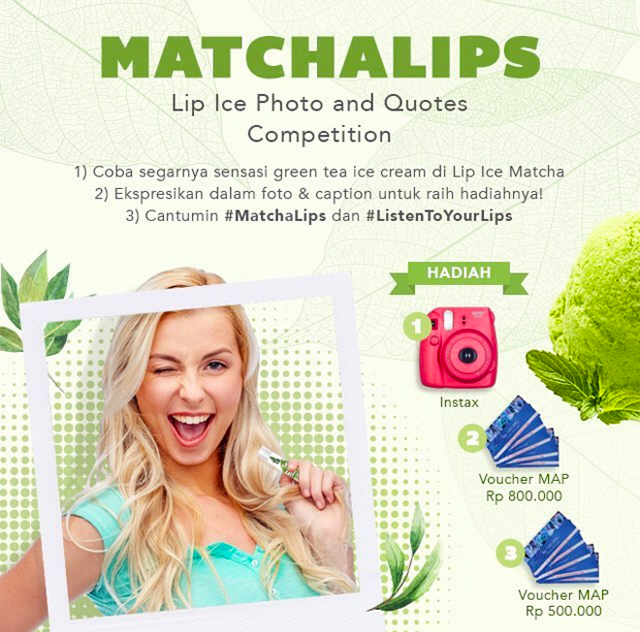 Simply try Lip Ice Butter Ice Cream Matcha, post a picture and share your story with it on your IG, use hashtags #MatchaLips and #ListenToYourLips, and you can win Instax or MAP Vouchers! Leaving this post with a green tea infused kiss. Lucu banget warnanya berubahhhhh! And you look so cute. This lip ice will be on my must-buy list for college! This is truly amazing item, I love to try it, thanks for sharing, you look gorgeous!!! hi! 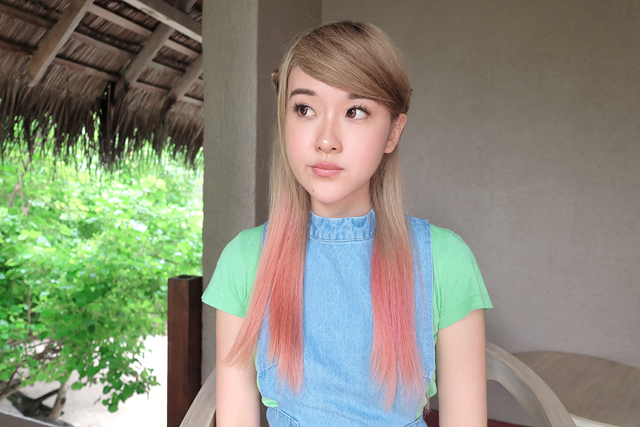 i'm from malaysia, and gosh, i'm loving your blog!!! Whoaaa….so apparently it is also enriched with olive oil. Cant wait to buy it, just wishing it will be available in the closest store around my home. ci Jess…. you are soooo cute!!!! * pinjaman peribadi, pengembangan perniagaan. * Business Start-up dan pendidikan. Derma Vibrance Use a loofah sponge to remove the imperfections from your skin. A loofah sponge can exfoliate and buff problem areas, so your skin appears smoother and nicer. Using a loofah in combination with a nice body wash will provide great results. To keep your skin smooth without causing irritation, try using a loofah two times per week. If you are truly committed to becoming more fit, heed the advice from this article. It will take some hard work; getting fit is not easy. But over time you will see results. Being fit is a great way to keep the mind and body in good shape, so do not hesitate to do it. As you age, be aware of the color palettes that roll through fashion every year, but don't feel that you have to jump on the bandwagon each time. Your hair and skin are constantly changing. Colors may not look good anymore, while others you never considered begin to look amazing. Look for colors that are flattering. Avoid colors that are not. Your diet is an important part of your training. To build muscles, you will need a good protein intake and less fat. Muscle building is not a free pass to eating more; you still need a balanced diet. Protein supplements and vitamins are an essential part of the muscle building process. Identify your skin type so that you can choose the best products for your unique needs. For example, those with excessively dry skin don't need to use products designed to combat oily skin. If you're not sure about your skin type, ask a skin consultant who will be able to help you.